After all that party food, it's time to start eating healthier. Right? right. . . So to that, let's start the year off with greens. 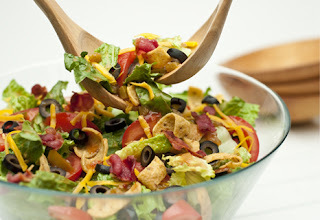 Stir the picante sauce and dressing in a large bowl. 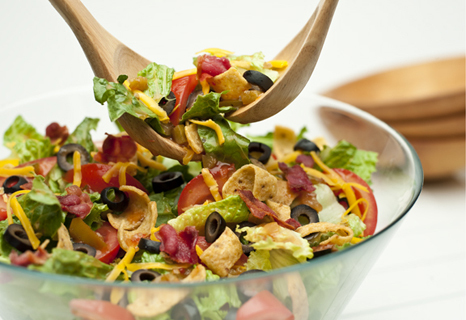 Add the lettuce, tomatoes, olives and chips and toss to coat. Top with the cheese and bacon.